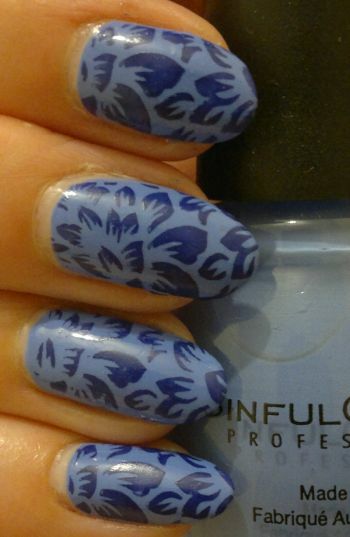 I used one of my favourite stamping plates, Pueen’s 93 plate (which is available as part of Pueen’s Buffet Leisure collection). 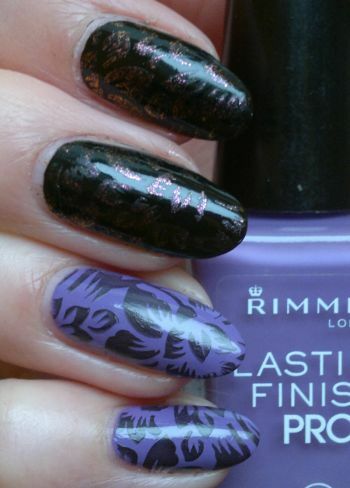 And I used Rimmel Lasting Finish Pro 430 Black Satin to stamp on the images. 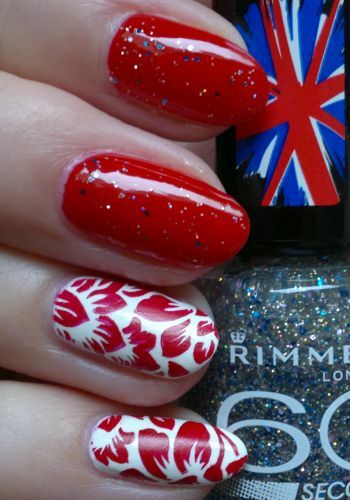 I really like this mani (well, I love the base colour and the stamping plate). Do you agree? Feel free to let me know. And thanks for stopping by! Hi there! I had no idea what to do with my nails the other day. Stamping? Foils? Maybe both? And which base colour(s) would I use? 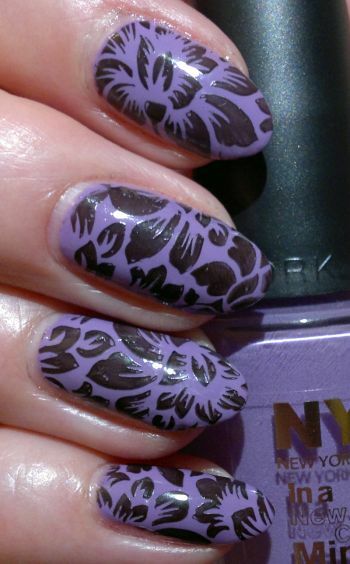 After a quick scan of my nail stash I decided to use purple and lilac as my base colours. So I painted my nails with Revlon Colorstay 260 Bold Sangria (pinky, index, thumb) and Ciaté Sugar Plum (ring and middle fingers). 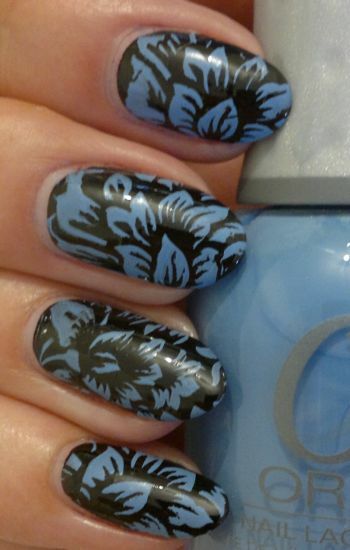 Then I chose a stamping plate – Pueen 93 from Pueen’s Buffet Leisure collection. 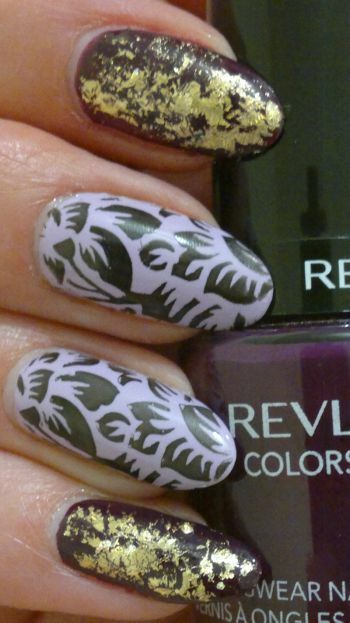 And I stamped on a floral image with my favourite black, Revlon Colorstay 270 Stiletto. 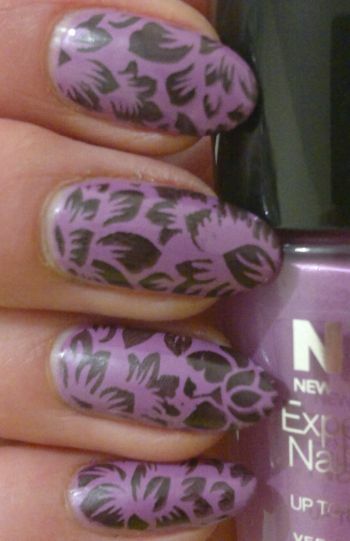 I think the mani turned out quite alright – considering I was totally uninspired. What do you think? Feel free to let me know your thoughts in the comments.